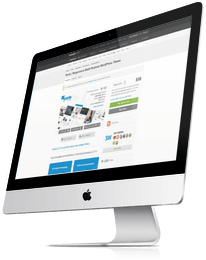 The fastest way to create your new and awesome WebSite… Check out our options and features included. in the of one of the world’s largest MarketPlace. “A” Class on any speed test tools. 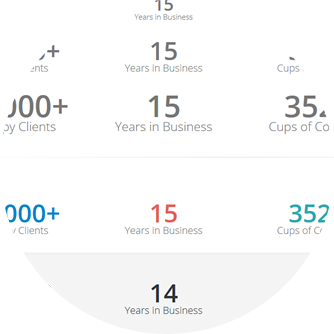 about you and your website. layouts for your shop website. the updates and bug fixes for free. Everything you need to create an awesome website. 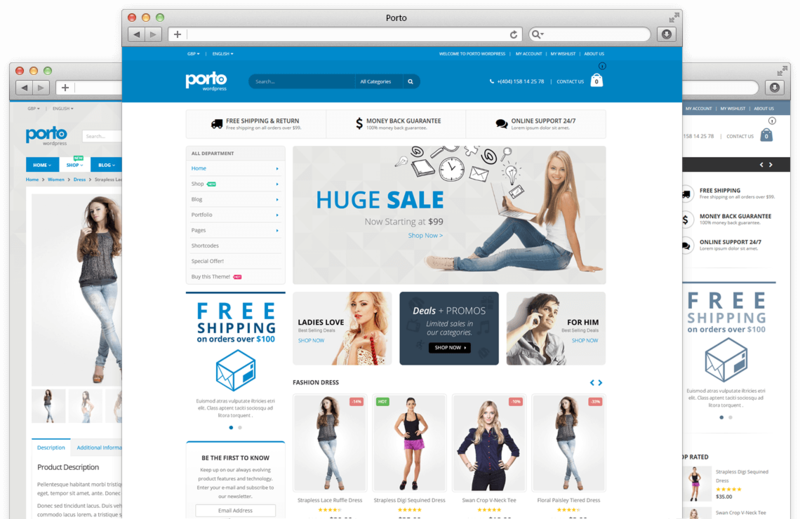 You can build almost any kind of website using Porto as base. 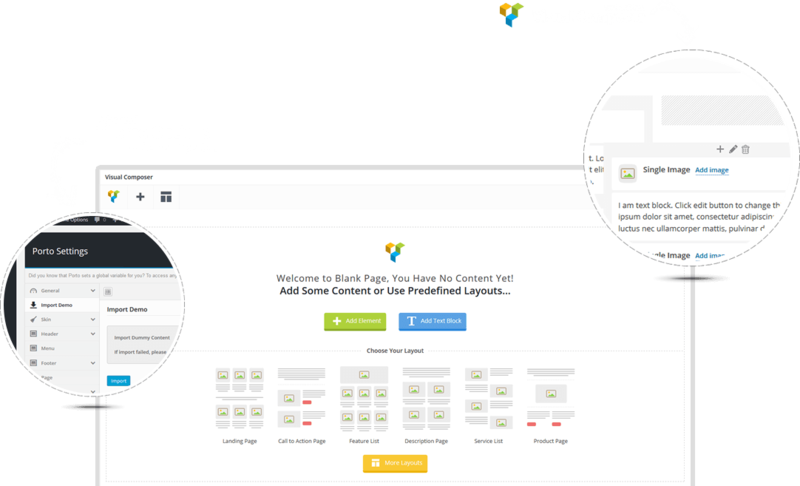 The theme has several layouts options that you can easily modify. Not just support, exclusive designs integration! 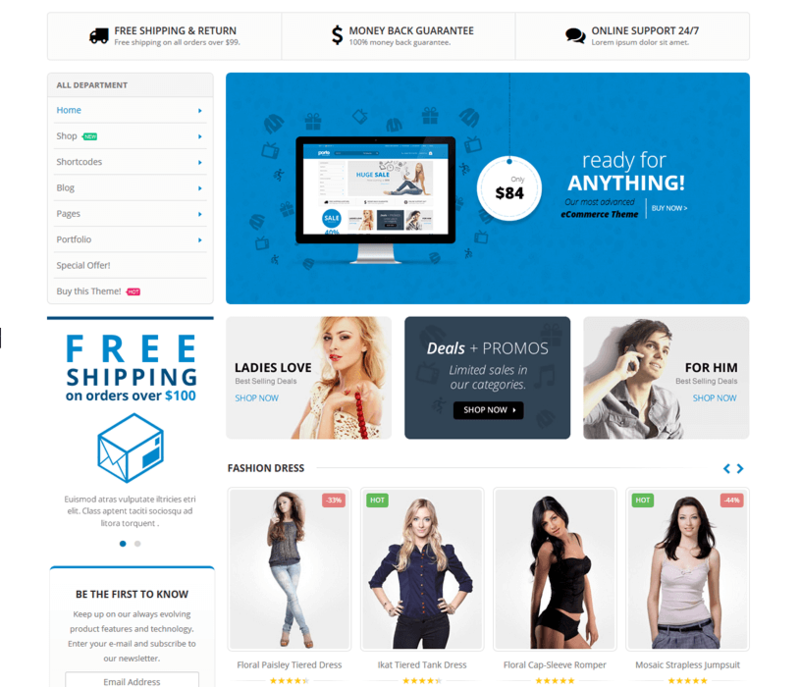 exclusive pre-made designs for eCommerce Websites. Optimized for Mobile Devices ...too! Porto is fully responsive design, ready to look stunning on any device. 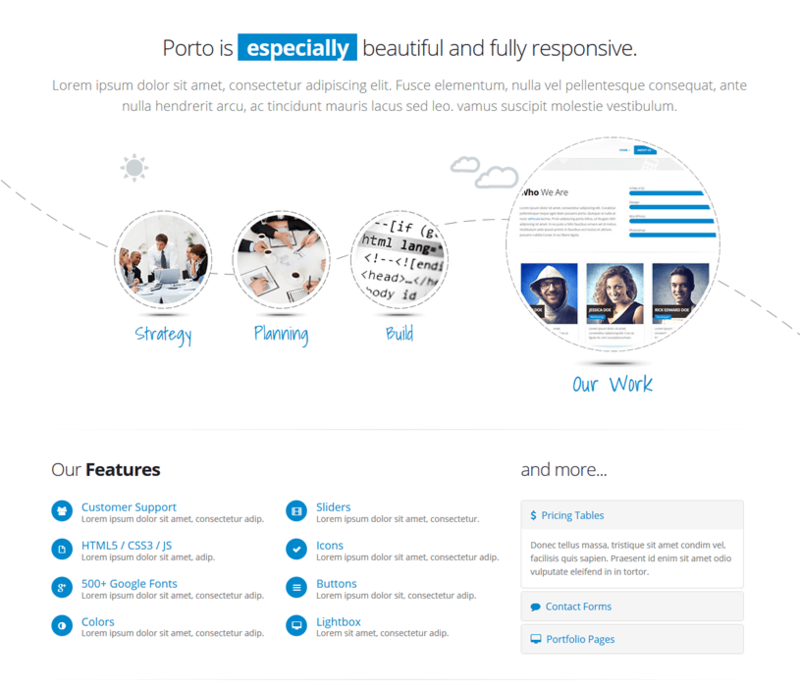 Porto is fully responsive and will adapt itself to any mobile or tablet device. iPad, iPhone, Android, Windows. Porto comes with a very extensive and as thorough as possible documentation where each section of the theme and its features are described in a easy way to understand, it also comes with a lot of screenshots to help you. 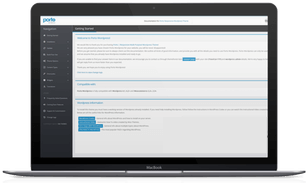 If the documentation is not enough contact us on our support forum. 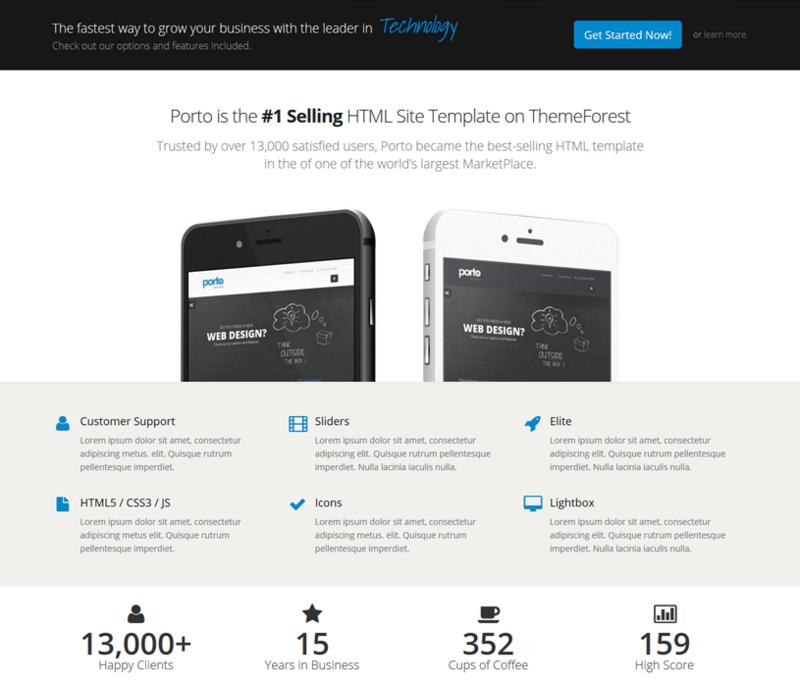 Porto template is constantly being updated with new features and updates of the plugins that are included in the package. If you have any suggestion for the next updates, just let us know. This theme is totally customizable, clean with all the options you could want. Don’t want full screen layout? With one word added to the code the entire site becomes a boxed version…. The customer support is absolutely unsurpassed. Every question is answered with more help than anyone could expect for the price. Can not recommend this enough. 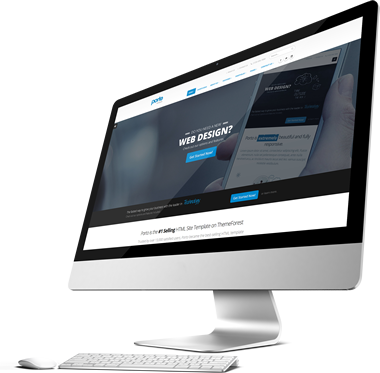 Start creating your new website today with Porto! not hesitate, purchase now for only $59 and join many happy customers.